On Sunday at East Bay Alliance Church, we had homemade empanadas for lunch! 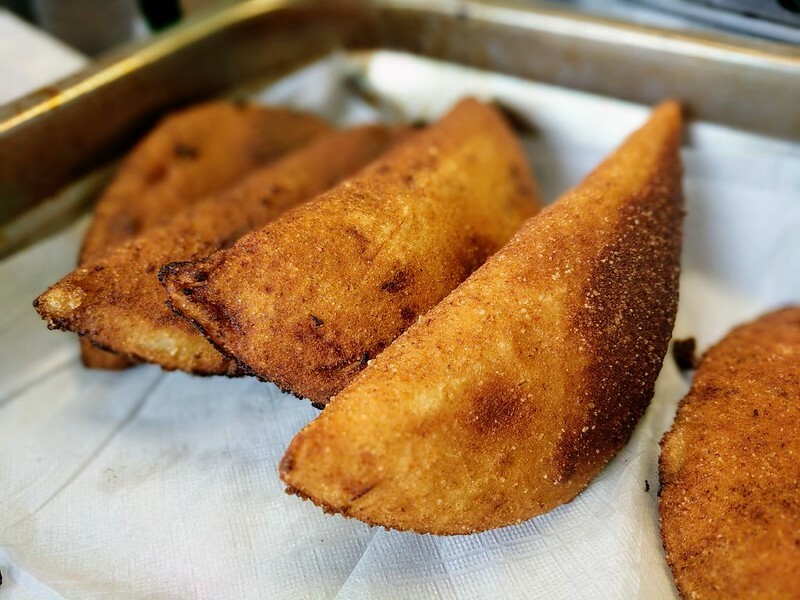 Empanada is a fried or baked stuffed pastry that is popular in Latin America, with Spanish roots. 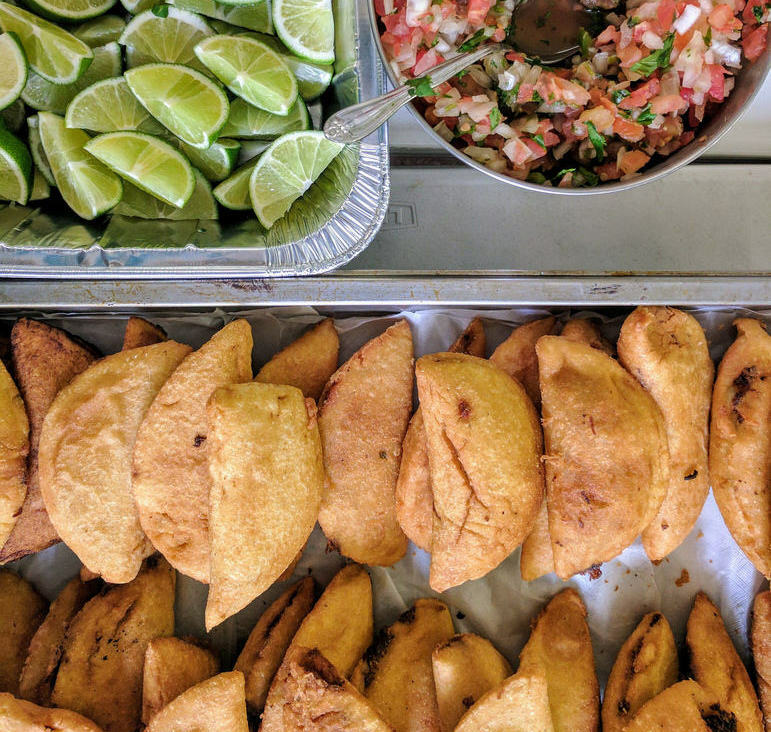 Each country has its own way of making empanadas, from the dough, to the stuffing, and to how it’s cooked. The dough is either flour or corn based. The stuffing varies from pork, beef, vegetables, and/or cheese. Then the empanadas are either baked or fried. 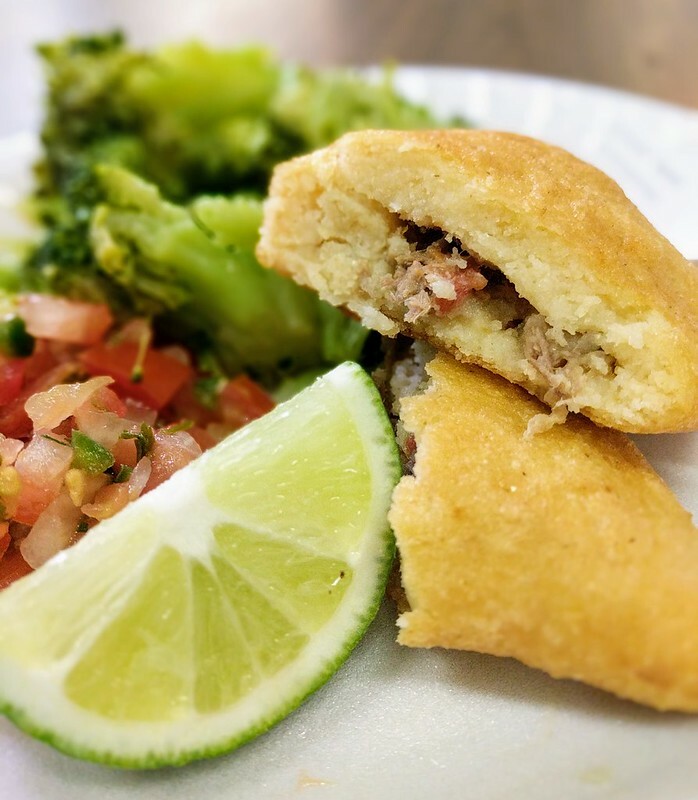 Colombian empanadas are traditionally made of corn and stuffed with pork, beef, potatoes, red bell peppers, and onion. 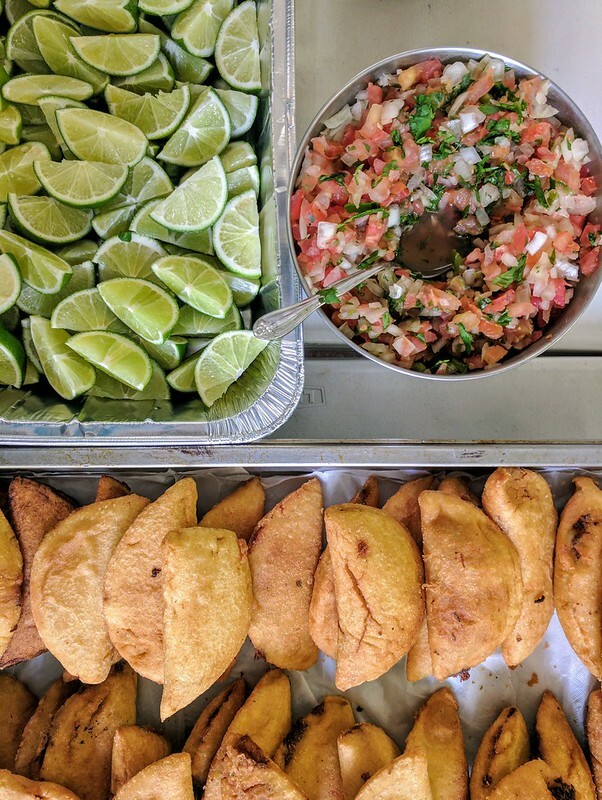 Colombian empanadas are also traditionally deep fried, and served with a lime wedge along with hot pepper salsa (salsa de aji picante). very delicious!! I have had these, but not the Colombian variety. 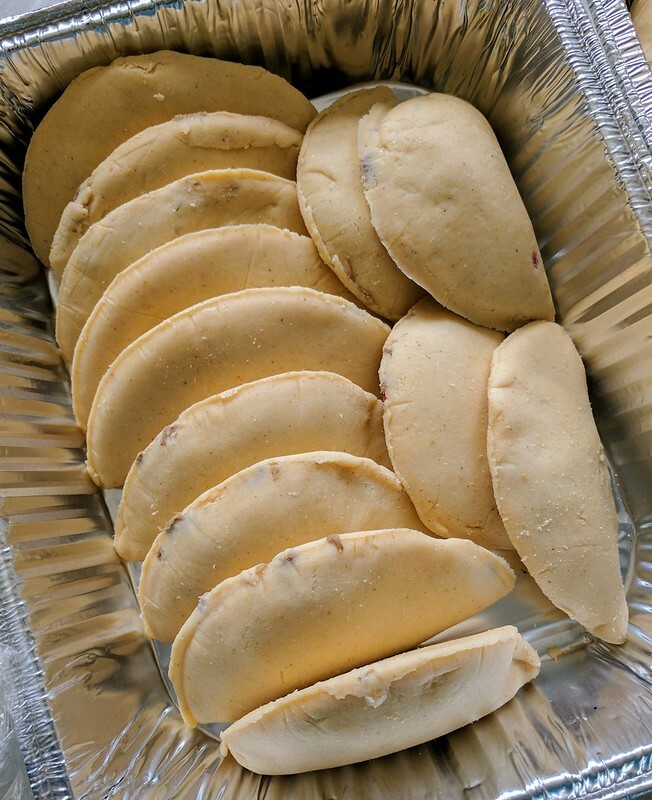 When I was down in Colombia, I was introduced to a similar food, named “Arepas”. Very tasty! !